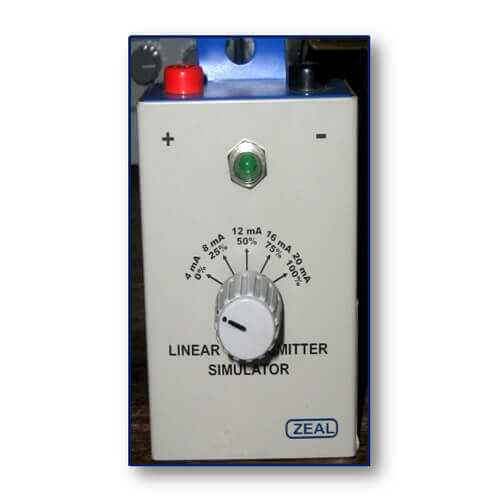 To meet the various requirements of the customers, we are involved in manufacturing and exporting a wide assortment of Linear Transmitter Simulators. The Simulator that we offer has been solely designed for industrial applications. The processing speed of the offered product is extremely fast. Our product provides result in a low-noise output signal that is insensitive to interference. Moreover, this product ensures a very high degree of precision even with small ranges with the help of range-specific gain adjustment.